These women were phenomenal! Detail-oriented, frequent communication, knowledgeable about the area and what clients are looking for, and willing to go above and beyond to help us sell our home! Not to mention very personable while still being professional. My husband and I were beyond relieved to work with them. They sold our home quickly after giving us great advice. I would recommend them to anyone buying or selling a in the area. Lin and Nancy did such a great job selling our home! Their professionalism, strong customer service and real estate knowledge made the process easy. They sold our home the same week that it was listed - who can argue with results like that. We are so glad that we went with Cantor and Tanner! We are pleased to recommend Nancy Cantor to you as an exceptional advocate for your new home search! We have known Nancy for almost three years. She has been the single most influential person in our move to Bluffton from our home in Ohio. In our case, Nancy managed the purchase and build of our home. Nancy recently assisted us in purchasing our new home in Hampton Lake. She is extremely professional, highly qualified and caring. Without Nancy, we would not have found this home. Nancy knows the real estate market and understands what individuals want and can make it happen. We highly recommend Nancy Cantor! These ladies know how to get the job done! 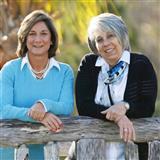 If you want professional and knowledgeable you get Nancy and Lin! I really ant to thank you for your expertise in the market Your guidance and recommendations made the difference! A million thank you's! Lin and Nancy are a fantastic team that know how to get the job done. Lin and Nancy are always punctual, prepared, professional and proactive. If you're looking for a true partner to help you navigate the maze of real estate, you should stop reading this review and give them a call.